There are many infrastructure and general maintenance projects currently taking place in the greater Long Branch area. 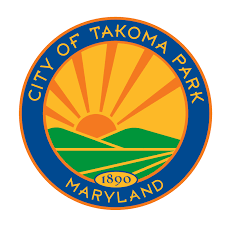 These projects are not limited to just involvement on the part of Montgomery County but extend to local jurisdictions (i.e., City of Takoma Park) and to county-wide service providers (e.g., WSSC, Pepco, etc.). WSSC is currently working in the Garland neighborhood to improve the condition of wastewater collection systems. This work is a part of WSSC's Sewer Repair, Replacement and Rehabilitation (SR3) Program. On its website, WSSC notes that they are working hard "to repair and replace parts of the sewer system to restore pipe and manhole conditions. With these improvements, less groundwater will infiltrate into pipes through cracks. As a result, there will be fewer sewer overflows into our waterways enhancing the protection of both public health and the environment, while improving service to WSSC’s customers. Repair work will include pipe lining, relocation, or replacement; replacing manhole frames and covers; grouting; and other types of repairs. The net effect of these changes will be improvement to local water quality and updated infrastructure that will serve WSSC’s customers for many years to come." SR3 Projects in Garland neighborhood. Due in large part to the ongoing work being conducted by WSSC, many of the residential roadways in Long Branch's Garland neighborhood are in severe disrepair. Residential roadway resurfacing for the Garland neighborhood does not appear to currently be under consideration by the Montgomery County Department of Transportation (MCDOT). Though WSSC has indicated that minor repaving will be performed at the conclusion of current SR3 projects, Montgomery County should take advantage of this opportunity to study and review current congestion, traffic patterns, and safety considerations within this neighborhood. UPDATE: WSSC has indicated via email "all streets affected by the construction will be milled and overlaid from cub to curb." This pavement project is expected to begin "prior to the end of August 2017." Curbs found in the Garland neighborhood. In the 2013 Long Branch Sector Master Plan, Montgomery County notes that a lack of adequate parking, particularly in neighborhoods with multi-family homes and larger apartment complexes, leads to parking congestion which, when coupled with poorly designed streets, creates a "lacking streetscape" which results in "an inhospitable pedestrian environment.". Aside from acknowledging this issue, Montgomery County has done nothing to reduce parking congestion or enforce safety-related parking violations. The City of Takoma Park is currently developing a design for green street features on a 1-mile section of Flower Avenue (between Piney Branch Road and Carroll Avenue). The project includes traffic calming, pedestrian improvements, bus stop improvements, energy efficient lighting and stormwater management features. Construction on this project is expected to begin in September/October 2017 and has an estimated budget of $3,131,288. Additional information can be found on the following website.